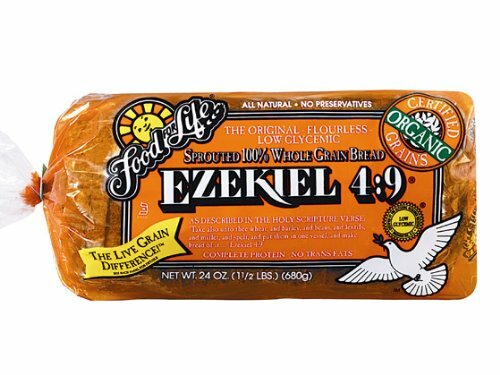 Dairy Free Kosher Vegan Ingredients: Sprouted wheat, sprouted barley, sprouted millet, malted barley, sprouted lentils, sprouted soybeans, sprouted spelt, water, fresh yeast, sea salt. NOTE: All product information on this website is provided by the product manufacturer and is believed to be current. However, OrganicDirect does not guarantee the completeness or accuracy of this information. For the most complete and accurate product data, we suggest you contact the product manufacturer. If you have any questions about this product by Food For Life Baking, contact us by completing and submitting the form below. If you are looking for a specif part number, please include it with your message. Otis Spunkmeyer Supreme Indulgence Double Chunky Chocolate Dream Cookies, 3 Ounce -- 104 per case. Foxtail Foods Chocolate Chip Cookie Dough Pucks, 3.0 Ounce -- 160 per case.